Call 732-456-6926 to schedule your first appointment. Reclaim your active social life by choosing state-of-the-art hearing aids in Freehold, NJ. At Miracle-Ear®, we'll use technology to provide you with a natural listening experience and a more comfortable fit. We have a range of styles for you to choose from, so it’s easy to find one that fits great, feels comfortable, and improves your hearing. At our hearing aid center, we understand that your hearing can change over time. That’s why we offer ongoing support that you’re sure to appreciate. In addition to providing a three-year warranty*, we also offer complimentary annual inspections and cleanings. We’ll check the hearing aids for problems so that repairs can be made in a timely manner. We’ll put in fresh batteries and check the fit to ensure that you’re receiving the maximum benefit from your hearing aid. Our goal is to help you hear clearly now and for years to come. We’ll take the time to listen to all your concerns and needs. Our goal is to provide you with a hearing aid that looks great and feels comfortable. If you’ve been asking people to repeat themselves or withdrawing from social situations, then see how we can help you turn things around and hear the world clearly again. Come in today for your free hearing test** and see how we can help you reclaim your social life. Our hearing aids come with personalized programming, so they’ll suit your lifestyle and your needs. We’re a locally owned and operated center, but we’re part of a larger network of over 1300 locations nationwide. This allows you to have your hearing aid serviced even if you’re traveling. We serve Coffeyville, Freehold, Dearing, and the surrounding areas, so call Miracle-Ear today for your convenient appointment. Jacqueline is a Hearing Instrument Specialist in our Freehold office. She graduated with a Bachelor's of Science in Communication Sciences and Disorders and started working for Miracle-Ear thereafter. Jacqueline is licensed by the state of New Jersey. 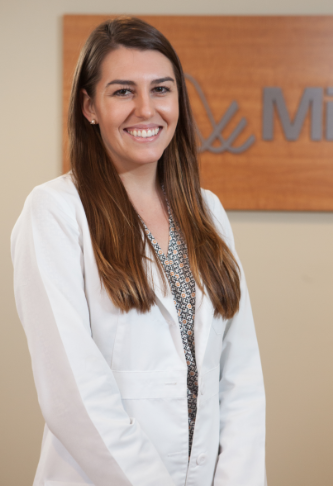 Jacqueline's absolute favorite part of working for Miracle-Ear is getting to know her patients. Jacqueline's appointments consist of both servicing her patients' hearing and catching up and learning about their lives. Jacqueline feels satisfied when she is able to make their day better and enhancing their hearing health! Miracle-Ear To whom it may concern: This note is to let you know that I had a nice talk with the ladies at Miracle-Ear (Jackie & Linda). That they explain everything very well. I give them the highest mark for their job. Thanks a lot, Lorraine M.